It's happening. Cats have slowly been infiltrating modern day society, creeping their way into every internet video and every meme that exists on the web. It's only a matter of time before they conquer humanity and force us to feed them like kings, all while we clean their doodies out of a little plastic box with their name on it! Wait...have they already conquered us? Do cats already rule the world? Well then! 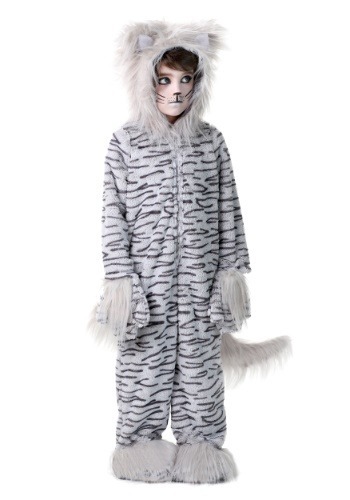 You'd better get your child ready to live in a society dominated by cats and we have just the outfit to outfitted in feline friendly fashion! 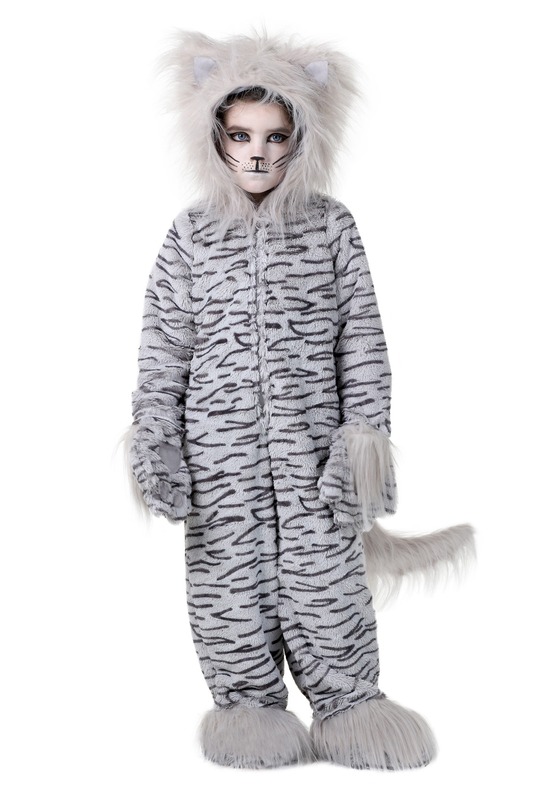 This adorable Gray Cat costume is a deluxe child-sized outfit designed to disguise your kid as one of our feline friends (overlords). It's a gray faux fur jumpsuit with black tiger-striping throughout. The hood has thick faux fur trim and a set of kitty ears sewn into it. Matching faux fur accents around the wrist and feet add to the illusion. Of course, the back of the jumpsuit has an attached cat tail, since every cat needs one of those! Once you have your child all dressed up in this jumpsuit, he'll be ready to be a secret agent against our feline friends (overlords) for the good of humanity...or he could probably just wear it to win a costume contest at the next party he goes. Either way, your child is bound to have a great time wearing it!